We’re always talking to our patients about the importance of a proper oral hygiene routine of brushing twice a day, flossing once a day, and visiting my dental office in Madison regularly. But did you know these guidelines can do more than just ensure a healthy mouth? They can also provide insight to other whole-body problems. Notice Any of These Signs? In addition to a proper, at-home hygiene routine and regular dental visits, there are several ways you can help protect your smile against dangerous bacteria, and your body against serious disease. Water, water, water. When it comes to choosing your beverage of choice, select water whenever possible. It helps rinse away bacteria and acid in the mouth and hydrates your body. Say no to tobacco. 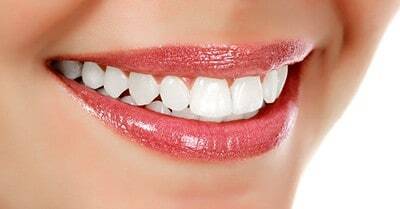 Besides the effects smoking or chewing tobacco can have on your smile, using any form of tobacco can lead to overall health complications. Practice proper nutrition. Eating well-balanced meals is important for proper body function as well as optimal oral health. Avoid snacking throughout the day, especially sticky, sugary foods. Your dentist could be the first line of defense against many serious diseases. If you’re experiencing any of the signs above, or if you haven’t seen a dentist in awhile, give my Madison dental office a call. We’ll perform a thorough exam, talk with you about any potential problems we find, and stand with you through your individualized treatment plan. Your health is the most important thing to us, and we’ll help any way we can.